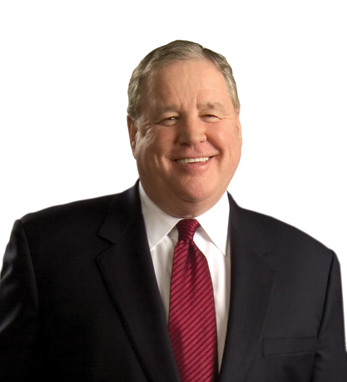 Mike Haverty, chairman of Kansas City Southern, is a symbol of Irish American determination and success. He began working as a brakeman while in college at the University of Louisiana, and completed the Missouri Pacific Railroad’s management-training program after graduating. In 1995, Haverty was named as a director and executive vice president of Kansas City Southern Industries, Inc. (KCSI) and a director, president and chief executive officer of The Kansas City Southern Railway Company. During his time with KCS, he has transformed the railroad into one of the most successful in the country, by purchasing a railroad in Mexico and creating an international rail network between Mexico and the U.S. Steadfast in an ever-changing market, Kansas City Southern (ticker KSU) has been the number two performing stock over 20 years, due in large part to Mike, who took KSU from a market cap of $350 million to a recent valuation of $6.5 billion. A third-generation Irish American with roots in Galway on both sides of his family, Haverty is actively involved with the Irish Museum and Cultural Center of Kansas City, MO. Mike and his wife, Marlys, have three children, Shannon Sullivan, Michael Erin and Ryan Matthew.